After all his life in the tunnels of Moscow's underground railway, Artiom sets out on a journey through Russia on a train, which begs the question – is this still Metro? The Metro series has always been known as an atmospheric, suffocating, rather difficult, and very linear experience. 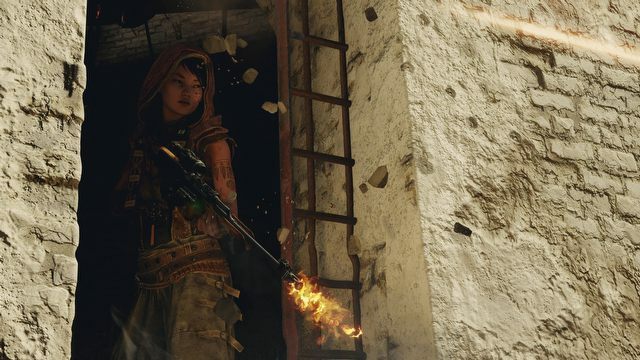 While Last Light didn’t try to reinvent the wheel, and stuck to the formula developed with the first installment, Exodus looks like a full-on revolution. The escape to the surface, large and open locations; the devs also mention changing seasons – the shy greenery of spring and summer fields of wheat… Is that even Metro? The storyline of the new game begins pretty much where Metro 2035 ends, and takes us on a journey through Russia. In the promo materials, the authors promised that we would see four main areas – corresponding to four seasons of the year. During the show, however, they admitted that this wasn’t the last surprise. They also mentioned stages played on the train. 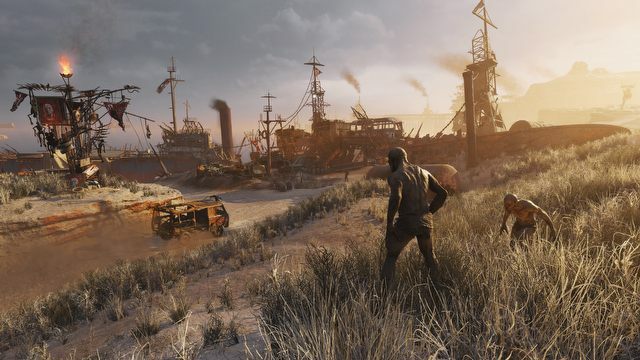 Each of the large maps is a station along the way – throughout the journey, Artyom is accompanied by his wife, Ania, her father Mielnik and a few other spartans. We stay in each location only as long as it takes to remove the obstacle that’s hampering the journey. And then we leave, never looking back. There is no time. The whole party has an important mission to complete. What kind of mission? I didn’t see the very beginning of the game, but the heroes mentioned the Russian government that was concealed since the war. During the show in London, I had the opportunity to play three different chapters, entitled Volga, Taiga, and Caspian Sea, for a total of around five hours. I was also able to talk to the global brand manager of Metro, Huw Beynon, as well as Dmitry Glukhovsky, the author of the original novel and co-writer of the screenplay for the game. When the train stops, it always means trouble. And as we are dealing with a shooter, we solve them by pulling the trigger. 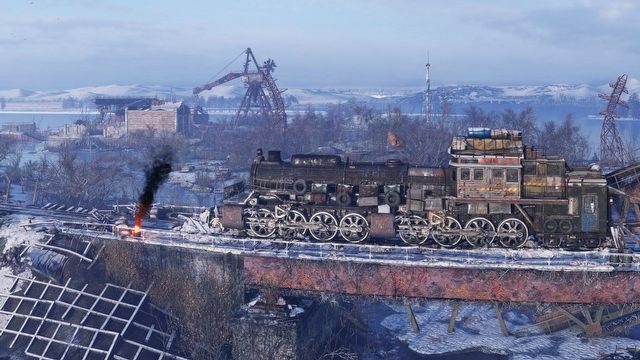 Once the train stops, we set out into the wilderness, and it becomes apparent very quickly that this game has as much in common with the typical open-world game as Wolfenstein: The New Order has with a documentary about the everyday life of the German population after World War II. The maps are really big, we can meet wild animals and search for collectibles. We can roam freely, but there are no repeatable side activities, tower climbing, or arena challenges; no trading, character development or hunting for legendary beasts, which are all very common in sandboxes. If that’s what you’re looking for, it’s the wrong address. There is rudimentary crafting and you can modify weapons – this awards exploration to some degree, but there are literally two types of materials that you can collect, and they’re mostly used for making ammunition. You can run into a collectible every once in a while, but compared to, say, Fallout 4, the number of things to collect is very, very modest. My favorite weapon – an air gun. In order to maintain the right firepower, we have to pump it every few shots. On the other hand, cartridges for this "canon" can be produced effortlessly. But in all fairness, there’s a different incentive for exploration – the amazing atmosphere and narration through the environment. Say you climb to the attic of an old, wooden house – you may, for example, discover a corpse of a man, who apparently drunk himself to death – as evidenced by empty bottles scattered all around him. Such little details do wonders for creating the image of a post-apocalyptic world. I was mainly responsible for the outline of the story and the main characters – Artyom, Ania, Milenik and other spartans; for their motivations, goals and their past. With 4A, we strove to portray our own interpretation of the journey along the Transsibirskaya magistral, the Siberian railway, where the destination doesn’t really matter, just like in the game – you really are going nowhere, but you’re in for an adventure. The only difference is that the passengers are also your brothers in arms. Metro Exodus is ostensibly very conservative. It’s just a shooter. Sure, the monotony of the constant trading of bullets at a lightning-fast exchange rate is broken by dialogues, gathering, and sneaking, but this game is, at the heart, a shooter. The sort of a shooter, in which you’re having so much fun that you can forget where you’re headed and for what reason, but you still keep walking, still keep shooting (keep an eye on the ammo count, though). If you’re feeling like learning Artyom’s story – good for you. Sometimes we meet friendly NPCs, but don't expect a level of interaction known from RPG games. 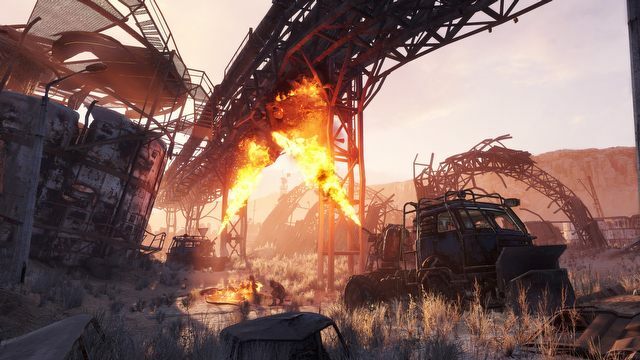 During the show, I couldn't help the impression that Metro Exodus’ closest relative would be Half-Life 2, which also featured an extensive adventure, vehicles, some open spaces, some narrow corridors, but at the end of the day, nobody had any doubts that what they were playing was an FPS. I missed this kind of games. However, this also creates a problem. 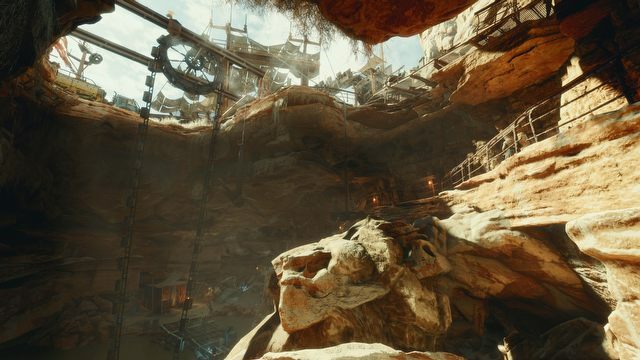 I have some serious doubts whether all players will want to pack dozens of hours into the game without incentives such as experience points and abundant loot. We grew accustomed to character development, which is nowhere to find in the new Metro. Furthermore, during those few hours, I had the impression that, in the long run, the quests, very similar to each other and consisting mostly of shooting stuff, may become mundane. It seems, however, that the very atmosphere, the plot and the very solid core (not to say shooting) mechanics should be enough a reason to get us to the end credits. The Caspian Sea is a location that will surely please the fans of Mad Max. Marcin Strzyzewski: If everything goes to hell tomorrow, will it really get so… animalistic? Dmitry Glukhovsky: That is something I am absolutely certain about. It doesn't even have to “go to hell” in order for people to go nuts; we are ready to turn into animals every single day (...) The mantle of civilization is really thin and underneath lies a million years of struggle for survival in caves. There, the intellect and civility are not much of a help. If the world collapses, there will be cannibalism, marauding, totalitarianism – there won’t be a respite from that. Excuse me, sir, pink apocalypse? 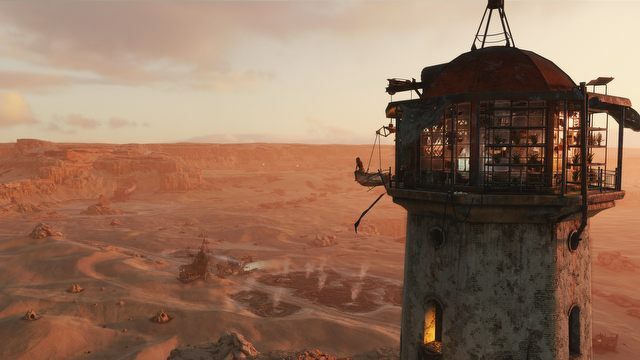 If you were afraid that the new Metro was going to join the cheerful club of Rage 2 and Far Cry: New Dawn, rest assured. Of course, the tunnel between the Mayakovskaya and Belorusskaya stations was superseded by a forest, which naturally isn’t nearly as gloomy, but the thick atmosphere is pouring out of the screen nonetheless. An old locomotive takes us on a journey through a large part of Russia. Along the way, we have a chance to see how much the war destroyed this already dismal land. We will visit ruined port installations in the middle of the desert, a small Orthodox church where a sect is worshipping a water monster in candlelight, a monument to Lenin that’s been, uhm, disgraced by birds, or and an old Soviet bunker full of monsters. The Ukrainian team delivers. Their game is just as sticky, gritty, sad and depressing as the previous ones. With the third installment of their series, 4A Games gave themselves a bit more freedom, which allowed them to create a much more diversified experience. The Caspian Sea level harks back to Mad Max with a quaint, post-soviet spin to it; inside an underground base, we witness a scene straight from Alien, and the taiga is inhabited by people, who were just children when the war broke out – connotations with Goulding’s Lord of Flies aren’t out of place. Metro: Exodus is not a horror, but there’s plenty of spooky moments here. You go underground, face monstrous creatures, fight zombielike mutants and anxiously charge the dynamo flashlight in order to check what strange being is lurking in the shadows, making that strange noise. Sometimes the flashlight just breaks and you have to make do with the lighter. We will go down to the underground on many different occasions, although there is nothing to suggest that we should visit the real tunnels of the underground. The atmosphere is the crucial ingredient of worldbuilding. I was floating on a shabby, wooden boat – out of nowhere, came a big, black bird. A minute later, the back of some marine abomination resembling a giant crab surfaced for a few seconds. When I was driving down the desert, I saw some astonishingly huge creature resembling a dragon, soaring into the air. I was preparing to fight for my life, but the creature wasn’t even remotely interested in me. I also saw a huge snake and I don’t know if it would have attacked if I had approached it. Another time, I saw a herd of deer chased by a wolfpack. The world is vibrant and alive, brimming with a deformed, abhorrent parody of life and it makes you feel an insignificant intruder, who should learn his or her place, and to keep the head down. From a conversation with Metro's global brand manager, Huw Beynon, I learned that there will be no micro-payments, no stores with skins and no lootboxes. As far as the DLC policy is concerned, 4A Games announced no changes in relation to Metro: Last Light – that production received new hero missions, a new level of difficulty and another game mode, in which we could compete with other players in online rankings. Although there are many monsters and mutants on the list of opponents, it’s other humans that seem to be the most dangerous. The new game isn’t going to be a Dark Souls among the FPS; you won’t have to look for food and water either, but it’s not a frolicsome festival of shooting comparable to Call of Duty. Ammunition is in deficit and shooting with constant fire will quickly end your adventure. Our health resources are equally scarce. You can die from a single bullet, and if you’re entering an area with more armed enemies, it’s a good idea to start sneaking. 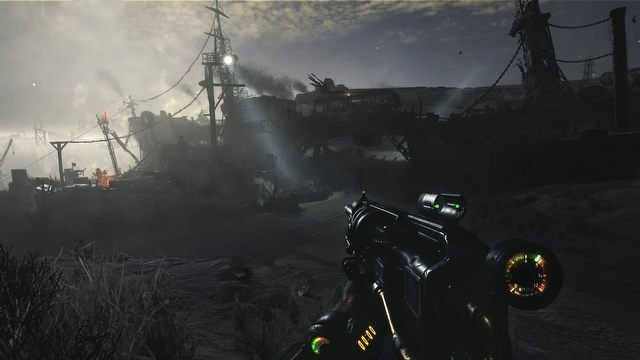 Fortunately, the game gives you plenty of tools that come in handy there – from throwing knives to the light on Artyom’s wrist that indicates you’ve been detected. I was leaving the show completely confident about the game. The new Metro may not be a breakthrough. 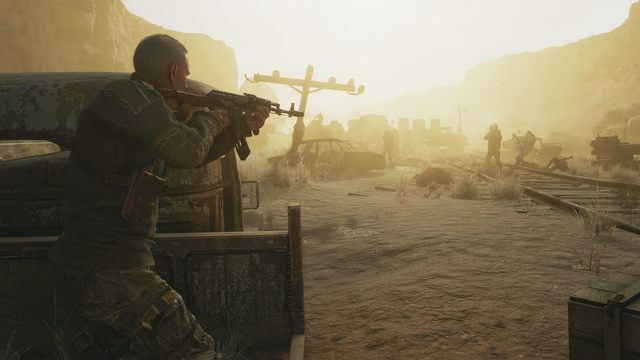 The dialogues may feel a bit rugged and somewhat repetitive, but the game is sufficiently detailed, pretty, atmospheric and satisfying so as to cater to the needs of the fans of singleplayer FPS games, to whom the industry hasn’t been very gentle lately. I have an irresistible premonition that Exodus can be the Wild Hunt of the Metro series. The two previous games allowed the Ukrainian developers to gain enough experience and publisher confidence (which translates into a bigger budget) to now warrant the creation of a title substantial enough to attract a mainstream audience. Master's degree in Russian philology. He visited the countries of the former Soviet Union, including Transnistria and Belarus. He reached Lake Baikal by train and the WDNCH station in Moscow metro. He played both installments of the Metro and the S.T.A.L.K.E.R. series. He read Roadside Picnic and the Metro trilogy before it was cool, and wrote and published a postapocalyptic novel entitled Transmission. The expenses of the trip to London were covered by Techland, the Polish publisher of the game.